Another one of the most common questions we hear from potential clients is: does my small food-related business need a grease trap? In San Diego, as in many other cities, there are strict regulations regarding how much grease can be released into the city system. In order to prevent blockages of the sewer system due to accumulated grease and oils discharged from food facilities, many wastewater treatment agencies require the installation of grease traps or interceptors. That is why it is a good idea to always check with the local Wastewater Treatment Agency before starting to design your plumbing system, and find out what size your grease trap or interceptor needs to be. In San Diego, the FEWD (Food Establishment Wastewater Discharge) office handles all questions related to grease traps. If you are opening a new restaurant or remodeling an old food facility, you have to schedule an appointment with FEWD, sometimes a month ahead, to figure out your grease trap sizing and requirements. 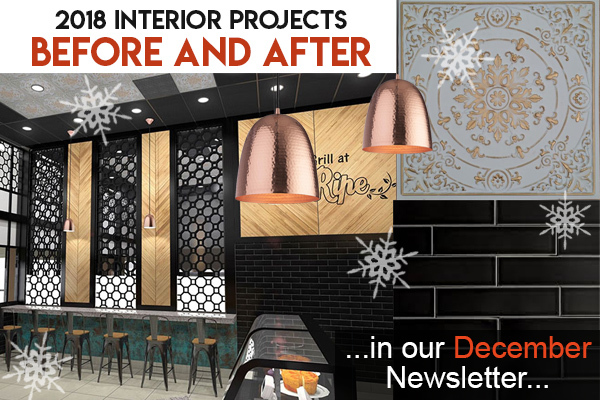 While the requirements depend on the type of business you have and the products you offer, here are a few pointers (drawn from our own experience) related to small businesses such as restaurants, cafes, ice-cream stores and yogurt shops, that show you whether you need a grease trap or not. Every restaurant serving any type of greasy food or baked goodies (baked on premises) needs a grease trap. A coffee shop serving espresso also needs a grease trap. Removing the espresso coffee from your menu eliminates the need for a grease trap for your café. However, remember that this also depends on what other food you intend to prepare in your facility. Consult with the local wastewater treatment agency and bring your menu to the appointment. 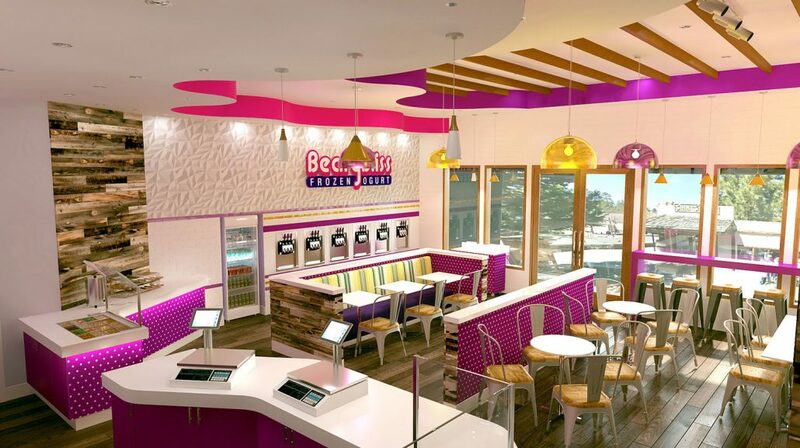 A yogurt shop is typically not required to use a grease trap since yogurt is always served in disposable cups and mostly fat free. 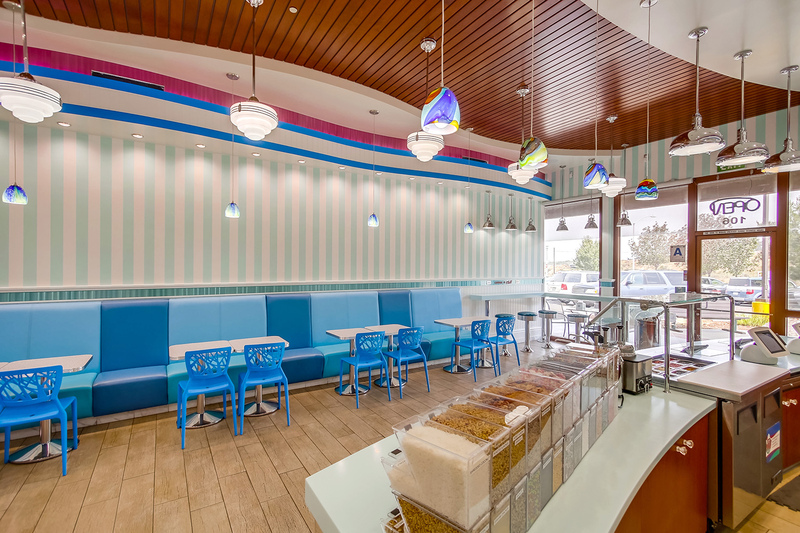 We designed over 50 yogurt shops and never had to install a grease trap in a typical yogurt shop, unless the menu contained other cooked or baked food. An ice-cream store only needs a grease trap if you make your own ice-cream on premises or if you prepare any other food such as baked goods, crepes or espresso on site. If you only serve ice-cream that is delivered to the site and sold in disposable cups, you will most likely not need a grease trap. Grease interceptors. 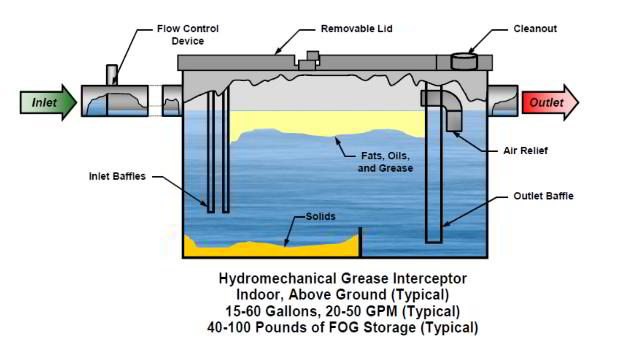 Grease interceptors (large volume tanks) are typically installed outside the food facility. These large volume tanks are installed in the ground. Grease traps. Grease traps (small volume tanks) should be installed outside the kitchen, food prep, food storage or any other work area. This means they can be installed inside your food facility, but need to be enclosed in a separate room behind a closed door. Some typical locations are separate closets, small storage rooms or (most often) restrooms. However, grease traps cannot be installed in rooms dedicated to trash or janitorial services, even though these are outside the food activity area. 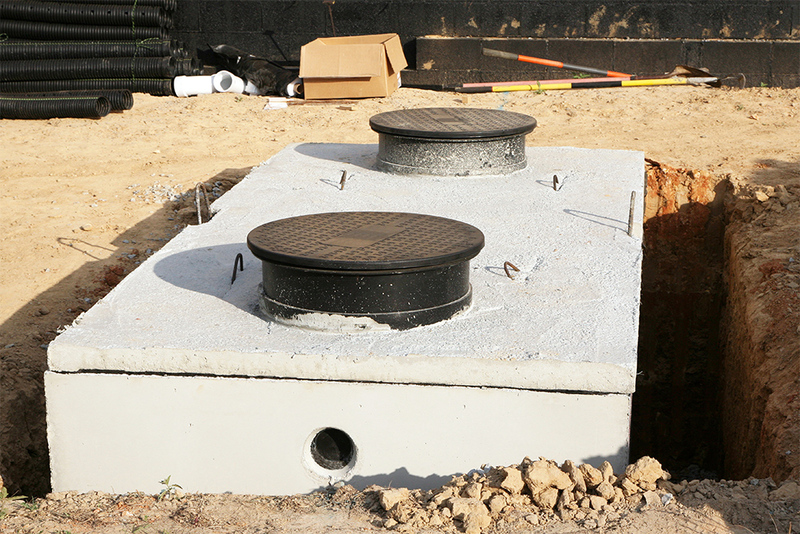 Often, the grease trap is placed outside the footprint of a building. The reason for these requirements is that, when emptying the grease trap or interceptor, the grease trap location must always minimize the exposure of the food prep, food storage and warewashing areas to grease waste. 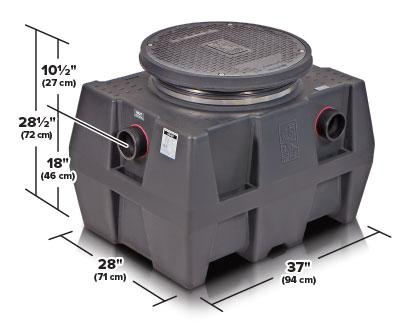 Click here for more information about grease trap requirements in San Diego area. How Many Restrooms Does My Business Need? What Does the Health Department Want to See on Your Plans?